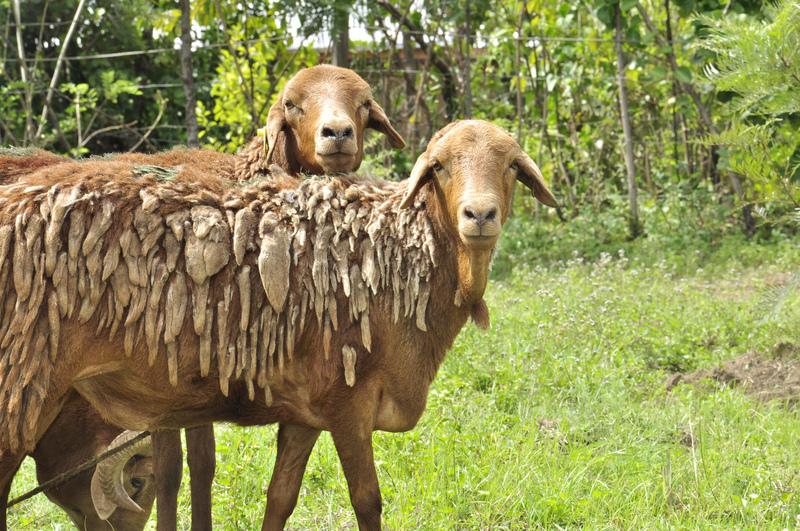 ‘Climate-smart’ native disease-resistant sheep being raised in western Kenya (photo credit: S Kilungu/CCAFS). ‘Efforts to tackle the challenges faced by livestock farmers in developing countries have been boosted by a £10 million research award. Scientists will use funds from the Bill & Melinda Gates Foundation to look at how genetic information can improve the health and productivity of farmed animals in tropical climates. ‘The institutions in Scotland and Africa where the researchers are based are also making additional contributions, taking the total funding pot to £20 million over the next five years. ‘The Centre for Tropical Livestock Genetics and Health is an alliance between the University of Edinburgh, Scotland’s Rural College (SRUC) and the Africa-headquartered International Livestock Research Institute (ILRI). ‘The teams plan to investigate the genes that make some animals more resistant to diseases than others. They will also look at why certain breeds are able to thrive in hot and arid conditions. . . .
‘Africa’s involvement in the centre is being led by the ILRI. Director Dr Jimmy Smith said: “The work of this new centre comes at an opportune time, when demand for milk, meat and eggs is rising fast in developing countries. Read the whole article on Yahoo News: £10m award boosts research into farming in developing countries, 23 Nov 2015. Tags: Andrew Peters, BMGF, Centre for Tropical Livestock Genetics and Health, David Hume, Jimmy Smith, Roslin Institute, University of Edinburgh. Bookmark the permalink.